Our services are reliable and our clients appreciate it. The team of experts can solve any problem related to your AC with a short span of time. Our team works with the latest tools and equipments and the most innovative techniques. You can avail our services at reasonable rates. We have the best technicians and customer care executives to assist our clients. Dubai being an arid country with high temperatures, air conditioners are an essential part of every residence or commercial place. Air conditioners used to maintain favourable temperature at both home and work places. AC Repair Dubai is one of the best companies dealing in AC installation works. Our team of experts can install any type of AC be it split, ducted or centralised air conditioner. We can handle ACs of any model and brand. Our work is proficient and quick. Our technicians are well trained and skilled for installation work, be it installation of ACs or chillers for industries. To avail our installation services all you need to do is call or email us your requirement and our technicians will visit you for installation process. Our AC installation services are reliable and hassle free. Our experts not only install the ACs but also guide their clients about how to use the product and how to find out whether their air conditioner is working properly or not, or what to do if they face a particular type of problem or issue. Cleaning of drain tray and drain pipe, filters etc. Our expert technicians specialise in all types of repairs related to air conditioners. We can take care of any type of breakdown call regarding air conditioners. We repair and replace AC compressors, AC parts, services such as AC gas charging or filling, fixing of pipes etc. We also undertake AC repair works for centralised air condition systems. We are one the renowned companies in the field of chillier repair,Ac maintenance and Ac servicing. Our expert team specialises in chiller installation, maintenance and overall care of chillers. We even supply and fix chillers for industrial use, undertake maintenance work for chiller compressors, chillers pumps and fixing of new AHU’s and FCU’s . If you are looking for the best company for the installation, maintenance and servicing of your ACs get in touch with us, we are the best AC service providers in whole Dubai. 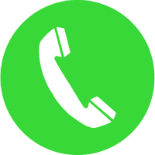 You can call us on our number, or email us your queries and requirements. As soon as we receive your request; our customer care executives will get in touch with you for further details. Depending on your requirement our expert technician will visit you to handle the problems or other issues related to your AC system. Our team of technicians are highly skilled and proficient in resolving any problem related to AC systems, they will resolve the issue within a short span of time. If you have further queries or require any form of assistance in regard to your AC system, feel free to get in touch with our customer care executives at any time. They are always available at your service throughout the year. To ensure proper care and maintenance of your AC systems we advise that you register with us for an annual maintenance package. We offer different packages to suit your budget and requirement.